Carbohydrate Timing: What, When and Why? When it comes to nutrition you should always ask yourself these three questions. What does my body need? When does my body need it? Why is this the right nutrient and time? Understanding what to eat and when is key to maximising gains regardless of your goal. With no nutrient is this truer than carbohydrates. Getting carbohydrate timing wrong can be your downfall – you can end up feeling tired and bloated, meaning you under-perform in the gym or out on the pitch. On a more positive note – getting carbohydrate timing right can be the key to success. To keep things simple this article will take a look at carbohydrate intake before and after exercise. 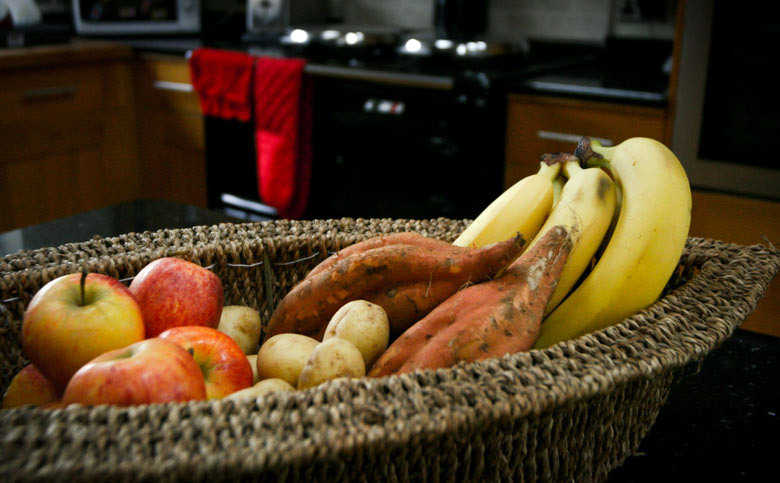 When describing carbohydrates a basic understanding of the Glycemic Index is required. The Glycemic Index (GI) of a food is essentially the extent to which a food will raise your blood sugar levels. If you’re not training then high GI foods are best avoided. When you don’t train, consuming high GI foods can lead to glucose storage in the form of glycogen, promoting fat storage and eventually leading to a number of diseases such as type 2 diabetes. However if you are training (which we assume you are!) things start to get slightly more complicated. So what do we want before exercise? Contrary to popular belief, low GI foods before exercise are ideal. They provide a long gradual release of glucose (and thus energy), as they are digested relatively slowly. However, bear in mind that this slow digestion process can interfere with your workouts. It’s not advisable to consume low GI foods less than 1 hour before exercise, as you will end up slow and lethargic. Your body will be unsure whether to focus its energy on digesting the food you just ate or on the workout you’re also trying to do. Everyone is different so you need to figure out what works best for your body. Some people don’t like to train less than 3 hours after eating a meal, whereas others can train less than an hour after devouring a huge feast. If you’re exercising mid morning, try a breakfast that includes some porridge, soya & linseed bread or no-added sugar muesli in order to sustain optimum energy levels throughout your session. Dark berries, such as blueberries, blackberries and strawberries also have a low GI due to their high fibre content. However be aware that cooking these foods may alter their GI value (cooking usually increasing their GI). What? 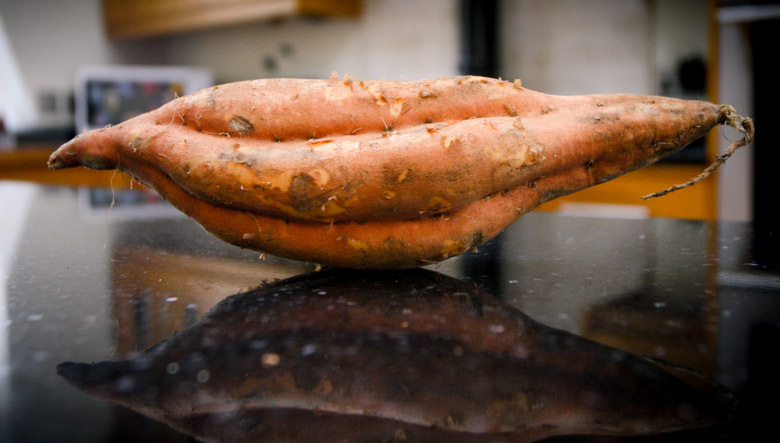 – Low GI (E.g Sweet Potato). When? – 1-3 hours before exercise. Why? – Sustained energy release. After a high intensity training session your muscle glycogen stores are depleted and craving replenishment. Think of your muscle glycogen stores as the fuel tanks for your muscles, and by training hard for tons of sets and reps you can seriously deplete these fuel stores. In order to optimally replenish your muscles you need to get them the nutrients they require as quickly and efficiently as possible. Replenishing your muscles requires adequate calories to prevent your body going into a catabolic (muscle breakdown) state. This is best achieved with high GI carbohydrates – these will spike your blood glucose levels, resulting in a large insulin response. The hormone insulin tells your body to remove glucose from your blood, storing it as glycogen in your liver and muscles. Amino acids are also transported to your muscles through this process, promoting muscular repair, growth and recovery. What? 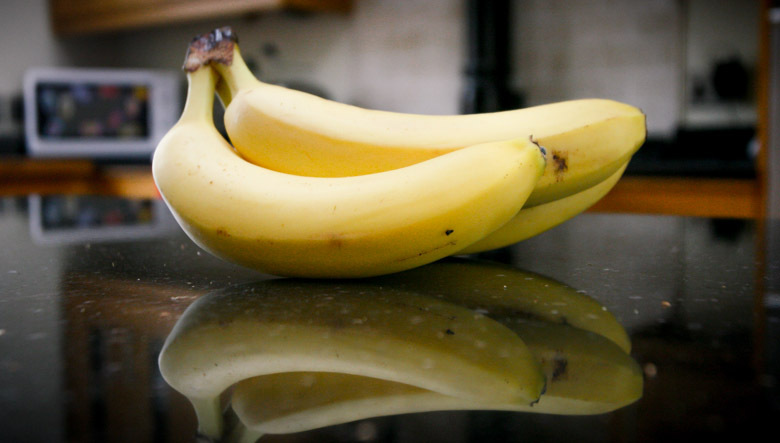 – High GI (E.g Banana). When? – Immediately post exercise. Why? – Replenish muscle glycogen and aid recovery. Carbohydrates have recently become demonised by the fitness industry with the popularisation of diets such as Atkins and Paleo. However, carbohydrates play an important role if you want to maximise your performance and recovery, and therefore should not be ignored or eliminated for long periods of time. Rather than viewing carbohydrates as the enemy to be avoided at all costs, instead view them like any other food — a tool for us to utilise to maximise our gains. Whether your goal is to improve your size, speed, endurance or body composition, optimising your carbohydrate timing will help you to achieve these goals. I am a final year Sport and Exercise Science student at the University of Bath with a passion for training and sport. Having competed in a number of sports I now play Rugby League. Over the past few years I have developed my strength and conditioning knowledge working at the University of Sydney, Australia and the at the University of Bath. Every day I look to improve myself and those around me using and improving my knowledge in training.